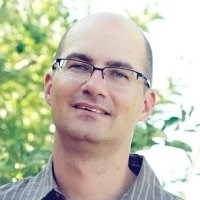 Prior to co-founding Zero Epsilon, Dr. Callahan was a Project Lead at the Software Development Center at the University of Utah where he worked on university start ups and sponsored research. He has over 15 years of experience with software research and design. Highlights of his professional career include co-leading the software development of several start-up companies that have since been acquired, serving as PI on NSF and DOE grants, co-authoring six patent applications (one awarded), and receiving a Utah Innovation Award in 2009 and being selected as a finalist in 2011. He received his Ph.D. in Computing from the University of Utah in 2008, an M.S. in Computational Engineering and Science from the University of Utah in 2004, and a B.S. in Computer Science from Utah State University in 2002. During this time, he co-authored over 30 technical papers, served as a reviewer and on program committees in his area of expertise, and received a Graduate Research Fellowship. His interests include high performance computing (GPU and CPU), scientific visualization, image processing, computer graphics, big data, out-of-core techniques. In particular, he is passionate about solving scientific problems with software. John Schreiner received his Ph.D. from the University of Utah in early 2009, where he focused on meshing techniques in computer graphics and scientific visualization. He received a B.S. from the University of Wisconsin, Madison in 2002. 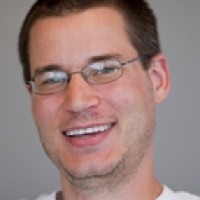 Before joining the software development center, John worked as a senior software engineer for VisTrails Inc., and as a systems engineer at Prediction Company, in Santa Fe, NM.